Content Overview: Successful pro-life apologists pursue four essential tasks. First, they clarify the debate by focusing public attention on one key question: What is the unborn? Second, they establish a foundation for the debate, demonstrating to critics that metaphysical neutrality is impossible. Third, they answer objections persuasively. Fourth, they teach and equip. Session#6 ("What is my duty") will be by far the most important. I'm going to listen to it right now, and it's probably the only one I will listen to. I listened to another one of Scott Klusendorf's videos on Youtube in the past that focused on "what is the unborn" and used the SLED acronym. The problem is that this makes the gross assumption that if one can prove that a fetus is a person, pro-choicers will agree that abortion should be illegal. If this were the case, wouldn't pro-choicers agree that at least later-term abortions should be illegal? Ask this question to your pro-choice opponent: "If I can show that a fetus is a person, will you agree that abortion should be made illegal?" The answer is generally "no". Excellent material! I'm onto the third one and it has been very informative. Michael, it is perhaps a "gross" assumption if by gross you mean something like 'encompassing and without regard for detail'. However, this might not necessarily be a poor assumption. It is fairly standard for pro-choice proponents to advocate their ideology on the basis of protecting a woman's rights, ie. the right to choice. This kind of advocacy is postured as benevolent (well-meaning, kindly, etc.). For example, the Abortion Rights Coalition of Canada states that it exists to support the "reproductive rights and health" of women (as read on their homepage). Supporting the rights and health of someone else is certainly a good thing. So it seems that embedded within the very notion of pro-choice the valuing of human life is presupposed, in this case that of the pregnant woman. It is then our burden to demonstrate that the unborn child is fundamentally no different than you or me and persuade pro-choicers to extend their valuing of human life to unborn children as well. Again, one might safely assume that demonstrating no essential difference between us and the unborn would be sufficient for this to happen. I don't disagree with you that some pro-choicers could take a stance such as you suggest, that upon conviction that the unborn is human they might still continue steadfast with their pro-choice position. To be charitable, we might assume that they haven't really thought about it yet. However, if they have thought about it, are convinced that the unborn is human life, and continue to maintain that abortion should be legal then we have a different kind of problem on our hands. What do you think? I love this website and LTI's content! I always feel confident in my arguments when using the simplicity as presented in these videos. When I first started arguing the issue of abortion, I was scared that I would not be prepared to argue the issue. I watched this series and was able to intelligently and informatively answer my opponents' arguments, and have been able to since. The lessons here do not simply ask you to regurgitate what is said, but rather help you to THINK the facts. 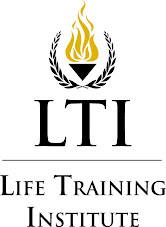 I highly recommend LTI's content, and encourage everyone to watch this series and download the notes provided! You will definitely find use for them at some point in the future, and they are invaluable in the help they provide. 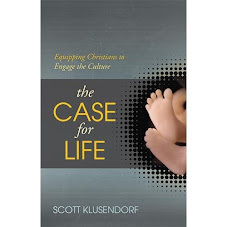 I am 17 years old and have been listing to Scott Klusendorf articulate the pro-life view for little over four months now. However, in those four months, I have listened to many of his videos on YouTube and downloaded many of his free PDF files off of his website: prolifetraining.com. After studying the material I had copied onto my computer for a while, I came across these lectures done at Biola. After downloading them onto my computer and listening to them a few times, I know that I am prepared to engage in any debate with someone of the pro-choice view. I can literally present/defend the pro-life position to virtually anyone that I might talk to about abortion. Because of Scott Klusendorf and these lectures, I feel confident that I am adequately prepared in this field… quite an accomplishment at 17 in only four months! I do not say this to look down at anyone, I only say this to demonstrate that this material works. I think that the Pro-Life Training Institute is doing great work and that everyone who wants to learn how to defend their pro-life view needs to look no further than Mr. Klusendorf. On a side note, if anyone wants to make these sessions portable and has an iPod/iPhone/iPad I have some advice: Download the “iTunes U” app for free. You can then enter “Biola” or “Ethics at the Edge of Life” into the search engine on the app. Select the course and download all the sessions by Scott Klusendorf (you can also listen to them without downloading them, but in order to do that you have to be in an area with accessible Wi-Fi). I have all of these sessions on my iPhone and I listen to them whenever I end up working by myself at my job, it is a great way to familiarize yourself with the material.